More people than ever before are planning to fly to foreign destinations for the autumn school holiday. Airlines and tour operators are reporting that most holidaymakers are heading for warmer climates. 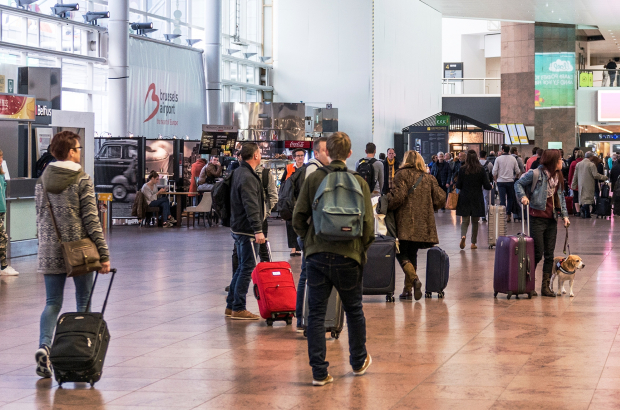 The numbers have been rising steadily over the last few years, and, according to a report by VRT, this year some 10% more seats are booked on flights out of Belgium compared to last year. People are no longer waiting until the Christmas break to head to Turkey, Spain and Egypt – the most popular destination booked for this weekend. Tour operator TUI increased its capacity out of Brussels by 10% for the period this year, and they are now sold out, it told VRT. Thomas Cook, Corendon and Neckermann are all reporting similar results. The regional airports as well as Brussels Airport are anticipating busy weekends, though a spokesperson for Ostend and Antwerp airports said that they expected no delays. Brussels Airport said that anyone hoping to get a parking spot should reserve it today and to double-check hand baggage restrictions to avoid delays.